Google announced in 2015 that users would be allowed to use their Outlook.com email (or other email services) on the Android Gmail app. 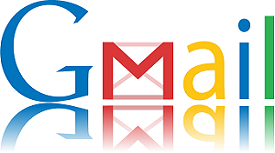 From yesterday, Google introduced a new feature called Gmailify, this allows Outlook users to use their account on Gmail’s mobile apps and continue to use Gmail’s best features — without even using the @gmail.com address. Outlook users will be able to use Gmail’s spam protection feature, as well as the folder organization feature which can be quite useful. Gmailify will also allow you to integrate those travel and hotel reservations from your email with Google Now, very useful if you use an Android device. It is not yet know if Google will be rolling out Gmailify to the Web and iOS, BlackBerry, Windows 10 or even Ubuntu. However, if you own an Android device and want to use your Outlook.com email with it, give it a try and let us know your thoughts in the comments section below.